A Pennsylvania Senate panel tasked with exploring the unprecedented removal of a sitting state attorney general included some major hedges in its final recommendations Wednesday. The committee did not weigh in on whether Attorney General Kathleen Kane should get the heave-ho. Instead, the panel voted along party lines to send the matter to the full Senate, where a two-thirds majority could then direct the governor to dismiss Kane. Only the panel’s Republicans supported that specific recommendation. 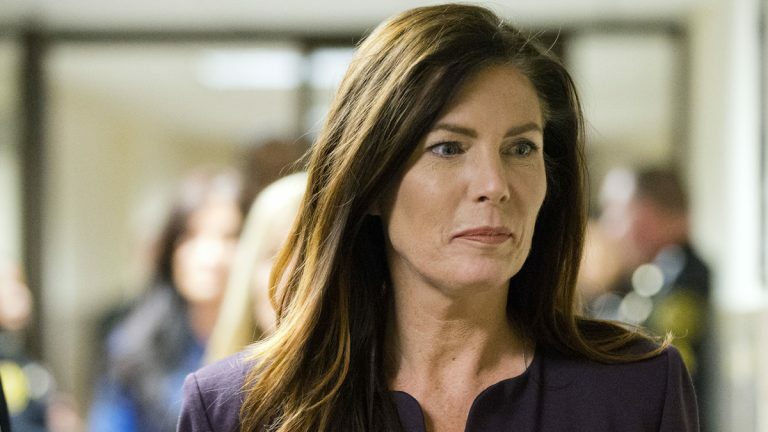 That evidence includes testimony from district attorneys, top deputies within Kane’s office, the attorney general’s chief of staff, and former Gov. Ed Rendell. The scope of the committee’s work was narrow: Can the attorney general do her job without an active law license? 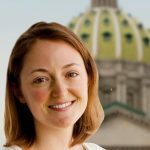 Kane’s law license was suspended by the state Supreme Court last year, in light of the criminal charges filed against her. In August, Kane was charged with felony perjury and other counts. Prosecutors say she leaked secret information to a newspaper to seek revenge on her detractors, and then lied about it under oath. Kane has vowed to fight the charges. The testimony collected by the Senate committee was “conflicting,” as Gordner described it on Wednesday. Despite that, the chairman said his panel was not charged with picking a side. One of the panel’s Democrats is arguing. In a written statement released Wednesday, Sen. Art Haywood, D-Philadelphia, denounced the committee’s move as an abdication of responsibility. Kane has said the Senate’s removal effort is unconstitutional, and some House members believe it would end up being challenged in court. 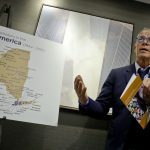 A House committee voted Tuesday to consider impeachment proceedings, in an effort to use a more “tried-and-true” constitutional method of ousting officials. The Senate panel’s final report also recommends that the full Senate postpone a vote on removal until the status of Kane’s law license is clear. The entire removal effort became official only after Kane’s law license was suspended, but the attorney general has since asked the state’s high court to revisit that ruling.